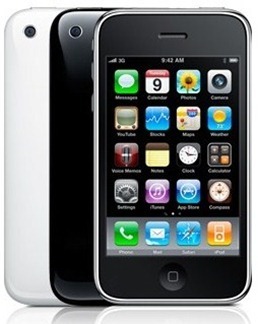 Apple to Release 8GB iPhone 3GS to counter Google Nexus One? A user at the apfeltalk forums from Germany had ordered an iPhone 3G from Apple and that was what exactly he was expecting to be shipped. To his surprise, the handset received was indeed a iPhone 3G 8 GB but the packaging in which it was contained indicated something else. Interestingly, it was marked with iPhone 3GS 8GB label, instead of iPhone 3G. As we all know, iPhone 3GS is only available in 16GB and 32GB versions and not 8GB. So either the box tag had typographical error, or Apple might have mixed up its new packaging with the old stock. WWDC 2010: Apple to Announce Next Generation iPhone 4G on June 28?